Jack Hannahan having words with Jonathan Sanchez. 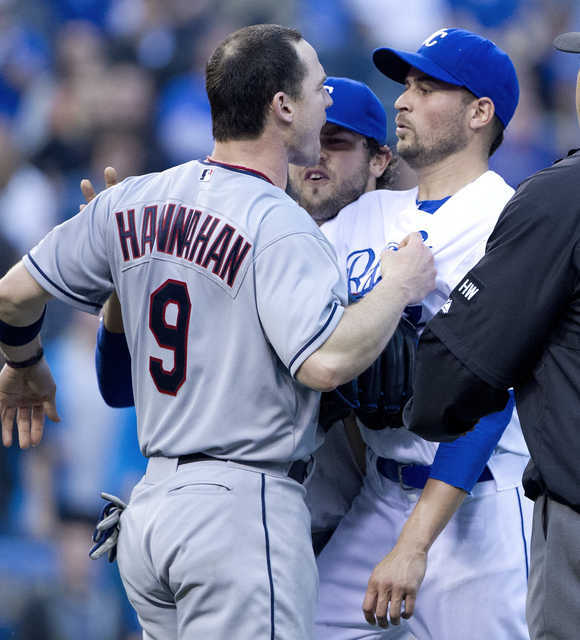 This weekend, Tribe third baseman Jack Hannahan was ejected from the game for rushing the mound in a bench clearing move after Shin-Shoo Choo was hit by a pitch. Last year, the same pitcher beaned Choo and shattered his thumb, bouncing him on to the disabled list for six weeks. Ouch. Hannahan thought Choo was being purposely hit and ran out to stand up for his team mate. 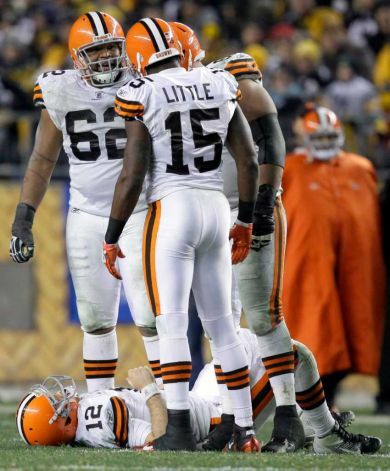 While I don't like to see players ejected for fighting, I admit, it warmed my heart a little. Hannahan didn't want to see Choo hurt and wanted to defend him. To me, that shows something about the team as a whole. You don't hear about infighting with the Indians. Everything that I have heard is that there is a great vibe in the locker room. In the long run, that can only help win games. The reaction that Hannahan had was what I wanted to see the Browns rage with after Colt McCoy got his clock cleaned by James Harrison. I wanted to see Browns players in a sea of flags after that hit. Either the Browns need to study Hannahan's intensity or he needs to enter the draft. Well, as long as we don't take him at 4...that is reserved for Trent Richardson.